Good friend and beloved community member Norma Mary Webb set to the skies one final time as she passed away on Friday, May 11, 2018 at her home in La Grange, Texas. The youngest of 6 children of George and Mary Ellen Ahern Webb, Norma was born in Houston on November 23, 1919. Norma graduated from San Jacinto High School in Houston in 1938 before pursing studies at the University of Texas and the University of Houston. After college Norma served a 2 year stint as the American Red Cross program director in Bari, Italy, before taking to the skies as a flight attendant in 1946. Her many years of taking to the skies for Delta Airlines fulfilled her childhood dream of wanting to travel and see other places. Norma flew for 55 plus years and at age 82 garnered the title of being one of the oldest flight attendants to have worked for Delta Airlines. Norma was quoted in People Magazine in 1998 as saying: “I’ve been a little piece of Delta. It’s been my life.” Norma loved telling friends and, in fact, anyone willing to listen, about her amazing and adventurous travels and those that listened loved hearing her stories. Norma’s other passion was education which she maintained came from the aunt in Houston she went to live with during the Depression. Over the years Norma generously provided scholarships to countless young people from near and far paving the way for them to fulfill their childhood dream of a college or vocational education. She would say: “Money comes and goes. When you leave this earth, what are you going to say that you did?” She always wanted to be useful and strived to help those that needed it. 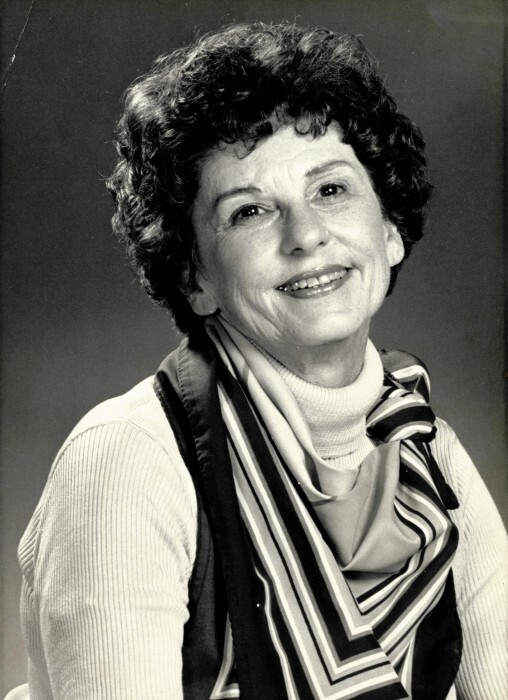 Norma belonged to many civic organizations in the community. She was a constant and generous supporter of KLRU Public Television and Festival Hill in Round Top. She enjoyed gathering with friends, eating at favorite restaurants, dancing and gardening. Norma loved to laugh and loved to see others laugh and enjoying life. Norma liked to see people happy. Norma was predeceased by her husband Stanley, her parents, siblings, and a great niece. She is survived by nephews: Frank Webb and his wife Colleen; Michael Webb and his wife Mary; and Steven Webb; nieces: Bettegene Coyle and her husband Matt; Nancy Webb; Patty Gail Webb Bryan; Susan Webb Hess and her husband Jurgen; and great nieces Elaine Hess; Megan Hunter Williams and her husband Paul; Nicole Hess and partner Tom Guinan; and Tricia Webb; second cousins: Susie Ahern Knust and her husband John, and Terry Ahern and his wife Judy; several great great nieces and nephews, along with other relatives and many friends from the community and all around the world. Norma is described by her family as a pioneer as one of the longest serving flight attendants in history and thereby serving as an inspiration to women to have careers and love their families. Norma ensured her family knew she loved them right to the end. She was a lady of grace, generosity, wisdom and class. Special thanks to those caregivers who became like family while caring for Norma in her home over the past few months and to Guiding Hospice for the excellent and gentle care during her last illness. Visitation will be held from 1 P. M. to 7 P. M. on Monday, May 14, 2018 at Fayette Memorial Funeral Home in La Grange followed by a Prayer Service at 7 P. M.
A Celebration of Life will be held at 10:00 A. M. on Tuesday, May 15, 2018 at the First United Methodist church in La Grange and burial to follow in the La Grange City Cemetery. Memorial donations may be made to the Norma Webb Scholarship Fund at LGISD. Checks made payable to LGISD Norma Webb Scholarship Fund can be mailed o P. O. Box 518, La Grange, Texas 78945 or by bringing it to the LGISD Business Office at 560 N. Monroe, La Grange, Texas 78945. All are welcome to join the party for Norma at the Celebrations event center at 127 N. Main, La Grange following the services to reminisce and celebrate her extraordinary and generous life.